Not sure what to do with leftover ripe bananas? Well don’t throw them away! Instead, throw them into a yummy batter and bake a batch of these Chocolate Walnut Banana Scones. They are also gluten and dairy free! I hope everyone had an amazing weekend and also got a little bit of sun. It was a relaxing weekend for me…well, actually I mostly organized my receipts for my taxes while simultaneously binging on reruns of The Americans (best show on TV by the way!) I also made time to meditate, which I’m slowly incorporating into my daily routine because it helps me destress, relax, and more importantly, focus on my work! Self-care is the best care. Another thing I do after about 20 minutes of meditating is hydrating my body, not just with water, but with herbal teas or even a good old green smoothie. After a good mediating session, my mind feels renewed, but my body may feel slightly drained or dehydrated. It literally feels like I just did 20 minutes of hot yoga without the heat or the sweat, but I feel amazing after. So, I decided to make myself a green smoothie which usually contains kale, spinach, bananas, pears and any other bonus superfoods I may be craving that day. I always stock up on bananas, but I never purchase them if they are completely green. So, I either buy them ripe or partially ripe so I could use them in my smoothies or recipes sooner. Once the bananas start forming a bruise, I peel them, cut them up, throw them into a freezer friendly ziplock bag and store them in the freezer. But this time, I used just enough for my green smoothie, and decided to do something else with the ripe leftovers! See where I’m going with this? Anyways, two ripe bananas were mashed up, I grabbed some flour, eggs, salt, sugar, chocolate and walnuts, and these scones were born. They turned out chewy with a slight crunch and they had just the right amount of sweetness. The trick is, the riper the bananas, the less sugar you require in the recipe, and depending on the recipe, you could choose to omit the sugar completely. Happy munching! Preheat oven to 375°F and line two baking sheets with parchment paper. Mash bananas in a bowl with a fork until smooth and set aside. In another large bowl, add sugar, vegan butter and vanilla extract and mix with an electric mixer. Fold in egg and mashed and mix again. Sift in flour, baking powder and sea salt and mix with a spatula until you get a smooth and slightly sticky batter. Add in chocolate chips and walnuts. Drop rounded 2 tablespoonsful of dough 2 inches apart on prepared baking sheets. Bake for 11 minutes or until edges are golden brown. Let it cool before serving. 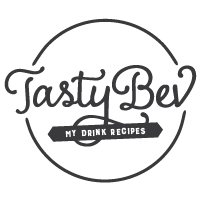 Awesome website with super healthy recipes . Well done!